Here's your weather forecast with Helen Plint. Watch our three part series which explore the modern pressures to look 'perfect' - with children as young as 8 worried about their image. He's swapped Life on Mars for life in the Dales - last night Dean Andrews made his much anticipated debut on Emmerdale. 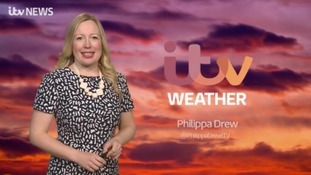 Here's your weather forecast with Philippa Drew. Helen Plint has your GMB weather forecast: Most areas fine sunshine, with a small chance of isolated showers.